I’d forgotten just how much Dutch painting the National Gallery displays, so that made for an enjoyable continuation of the Amsterdam trip. 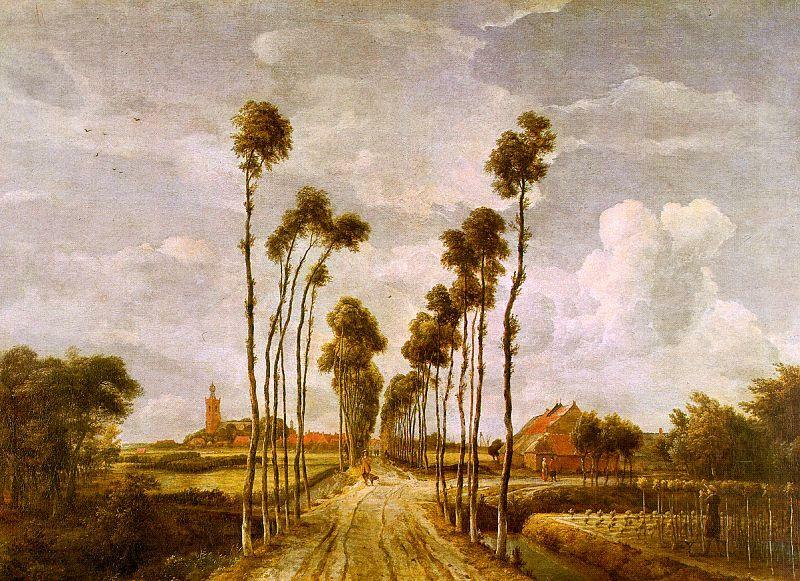 As ever picked up the audio guide, both touring round the various Vermeers, Rembrandts and Avercamps, along with revisiting old favourites of mine, like Hobbema’s ‘The Avenue at Middleharnis’. Rooms 16-17a, 21-29 and 31, in case anyone else wants to do the same (though I didn’t have quite enough time to really indulge in Room 29, which is dedicated to Peter Paul Rubens, or Anthony Van Dyck in Room 31. Belgium etc tends to be grouped together with the Netherlands, as at the time it was all the Low Countries, IIRC, before splitting over religious differences). Back to BJJ for the evening class, where this time Nick G went over some fine details on the triangle from guard. He emphasised curling your toes back as well as your feet to tense up your calves (and thereby tighten your choke), pulling the head down, squeezing your knees together, and bringing your shoulders to your knees rather than raising your hips. That confused me a bit, as I thought raising the hips was an integral part of the triangle, but I think Nick’s point was that pushes them away and gives them a chance to posture up. Not entirely certain, however: maybe he’ll go through it on his blog in the future? The other detail Nick added was countering the common defence to a triangle, where they grab your knee with both hands, drive it to the mat, then try to force open your legs using their bodyweight. If they attempt to grab your knee, grab it yourself with your other hand, then lay your same side hand on the mat. This is going to provide you with some traction, as you now need to switch your hips. By doing so, your training partner has lost that opportunity to escape, and is in a far worse position. Guard passing with Adam was in my usual defensive mode, and got a bit circular. He kept going for either an armbar or cross-choke, and I kept shifting my knees to prevent him making sufficient space for the former, or bringing my arms over and pushing his away for the latter. What I should have done was try to stand up and pass. I was looking for a chance to try the Saulo guard break, but couldn’t settle into position: standing up would have been more productive. Free sparring started with Roberto. I was keen to give Jude’s half-guard sweeps a try, so immediately pulled half-guard, but unfortunately forgot about getting onto my side. Roberto had me squashed underneath him, so I couldn’t grab his sleeve cuff. Also, that is a follow-up to when the first sweep doesn’t work, so I should have tried that one first. Instead, I lay there trying to work out what hand went where, then eventually worked back to full guard, not being able to establish position for the sweep, or indeed remember the technique properly. Last spar was with Zaf, but as often happens (to my benefit), it was more Zaf offering me tips. First he commented that if I want to try the Saulo guard break, I need to twist my hips, so they’re facing diagonally rather than square on. That should make me it harder to sweep me. Secondly, if I’m in the mount and attempting to use my head as a third hand, I need to put my free hand and forehead on the same side. Previously, I’d been putting my head on the other side, which doesn’t sufficiently help with balance, meaning I still get reversed. Is that the same Adam that beat me at the Kent open?. If so big congrats to him!! I tried to comment earlier but blogger was giving me jip. Sorry to hear about your redundancy man. Keep your head up and enjoy the (enforced) time off. Jadon: Possibly, if he's about my height, shaven head, stubble? No idea of his surname.